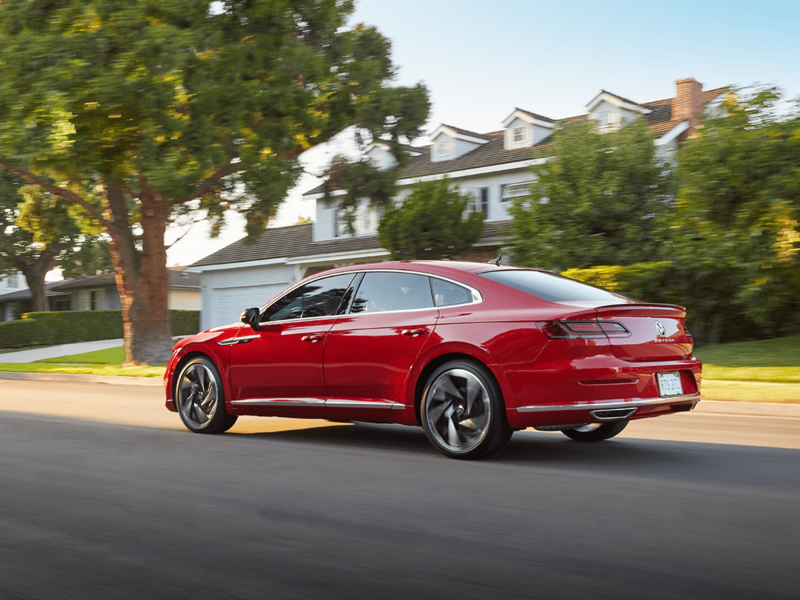 Brakes are critical in bringing your car to a safe stop. If you have ever experienced brake failure, you know that it’s a heart-stopping moment. That’s why, for your safety and that of your passengers, we recommend you have your brakes serviced regularly. Not only will it give you peace but if you discover damage before it has progressed too far can save you a lot of money. How Do Brakes Wear Out? Brake pads are typically made of metal, ceramic, or an organic material, while the disk rotors are made of metal. The pads are grasped by metal calipers that use friction to stop the car by pressing the pads against the rotors. Over time, this friction wears the pads down. This happens more frequently in the case of the front brakes because when you stop your car, the front brakes handle more force than the rear ones. 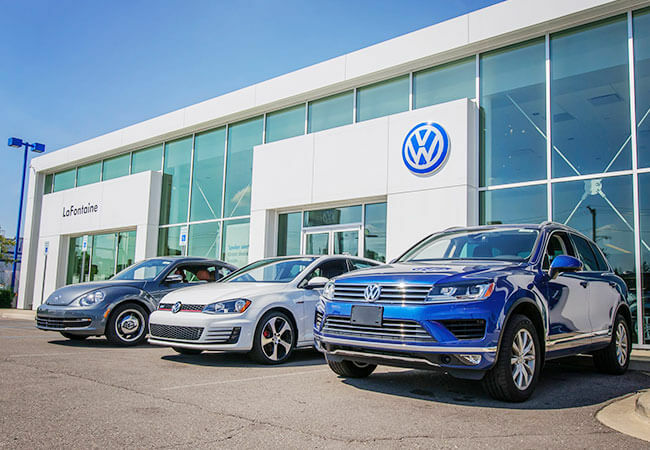 Since this is true each and every time your Volkswagen brakes, the front pads wear out more often than those in the rear. The rule of thumb is that the front brake pads need replacing twice as often as the rear pads. However, the sad truth is that all too often drivers don’t discover the damage until the rotors need replacing as well, a more expensive repair than simply replacing the pads. 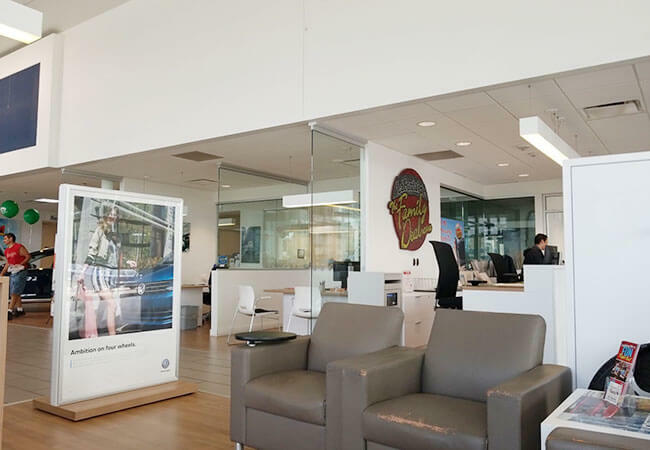 This is where scheduling a Volkswagen complete front brake service pays off. What is a Complete Front Brake Service? Complete front brake services begin with a thorough inspection of the brake system; not only the pads and rotors, but also the brake hoses, brake lines, brake cylinders, and wheel cylinders. If the hoses or lines show any symptoms of wear such as cracks, bulges, or leaks, they will be replaced. The brake fluid in the brake cylinder will be topped off, if needed, or exchanged if it shows any signs of deterioration. 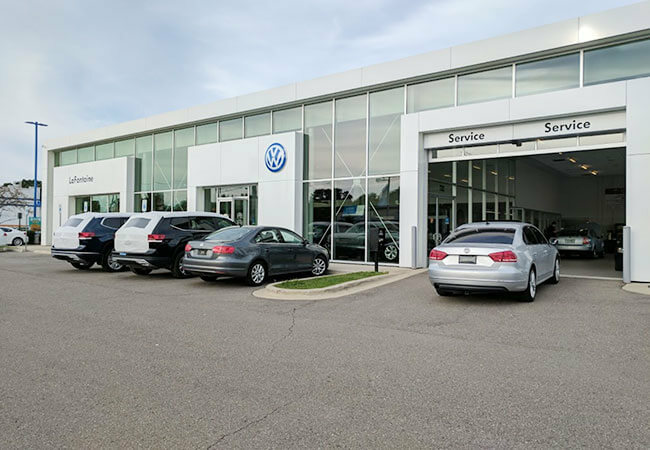 And of course, worn-out brake pads will be replaced with genuine Volkswagen or OEM brake pads, and rigorously tested for performance and fit. And if you need new rotors, of course, they will be replaced as well. 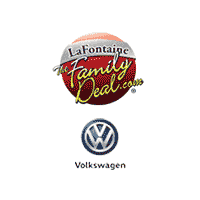 Not only does LaFontaine service all makes and models of cars, as well as Volkswagens, in their state-of-the-art facility, but they also honor all competitor coupons like the Engine Air Filter Replacement Special. LaFontaine backs up all their factory-trained and certified technicians’ work with free parts and labor warranty. And should there be any questions about the correct OEM parts, there is a trained product specialist on site. These are but a few of the reasons drivers from as far away as Taylor and Westland like LaFontaine. 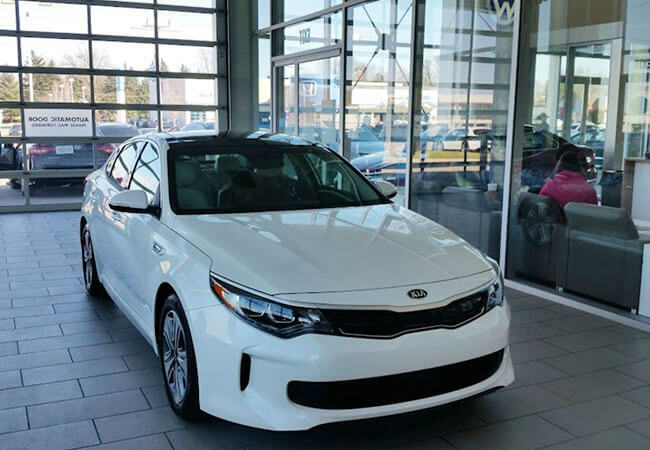 They also appreciate the complimentary 21-point inspections and the Assured Service pricing guarantee.